The makeup world is far from over the strobing craze. These days, it’s all about highlighting, glowing, and the lit from within look – the brighter the highlighter, the better! I am taking the look a notch higher by creating this editorial look and adding sparkles! Yes, because highlighting is simply too basic for me right now. lol! Another huge spring makeup trend now that I demonstrated in the video is the tonal or monochromatic makeup. This is when your lipstick, blush, and eye shadow, are all in the same colour family. I have been doing this style for a very long time now, and in the makeup world things get hyped up and it becomes a “trend.” Same goes for highlighting, it’s very big right now, even a tad bit exaggerated, yet still a very old makeup artist technique. sparkle from angela medalla yeo on Vimeo. Brows: I used the cinema secrets concealer at the bottom part of my brows to act as a guide as to where I should apply the brow product. 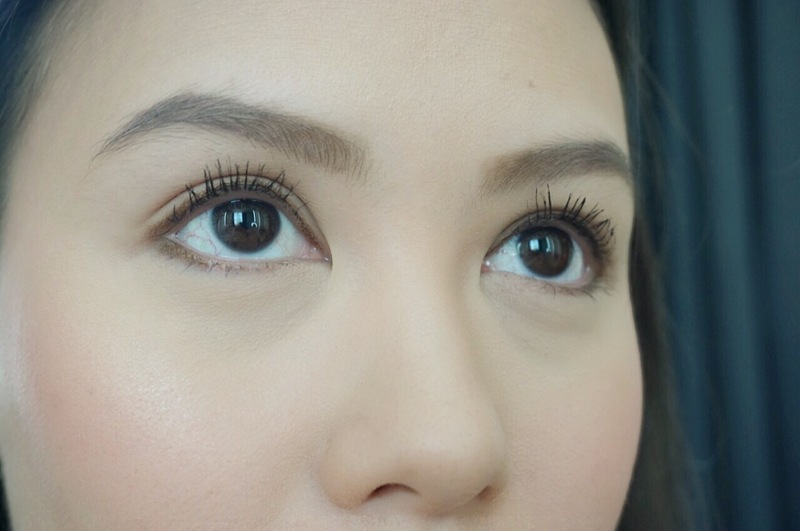 I used the Benefit browvo conditioning primer to prime my brows and to see the sparse areas, then I used the precisely my brow pencil to fill in my brows by doing small hair like strokes. Remember to blend product with the brush end! I finished off with the 3D brow tones to keep my brows in place. Eyeshadow: I used the It cosmetics naturally beautiful palette, and used different brown shades as my eyeshadow colours. I also used the matte black shadow as my eyeliner because I could not find one at that moment, and why not?! Make-up products are versatile! Highlighter (not in video): Charlotte Tilbury Filmstar Bronze and Glow.